Our world…it seems to tremble more every day under the oppressive shadow of fear. The cracks along the dry, dusty earth once so easily avoided have grown to caverns now calling to us- beckoning- to look down. Down…where only darkness resides. So I attempt to balance- keeping feet planted in the Light, while understanding the chill rising up from the abyss, creeps in close, nipping at heels, and I must stay vigilant. If I steal but a glance downward, it’s nearly impossible to look away and suddenly I’m falling too- plummeting from lofty places above the fray and mind fixed on the lovely, the pure and honorable. My eyes desperate in the free fall to find something, anything, to regain focus on things above. Fear working quickly to overtake me, the Light alive within moves to action. Love casts off fear- where perfect love lives, fear cannot find breath. I inhale deep a gasp of Light- hold the breath in, steady my mind, then release. And there it is- the remedy, the anti-virus to our decaying world begging us to join its crumble into black; it’s as simple as breathing. Inhaling fear, I can only give out the same. Beholding darkness opens my lungs to death and before long I am taking others down with me…a whole beautiful, vibrant world, succumbing to a disease of second hand fear. Or I can choose to breathe You in, God of Love…for You are here all around me. 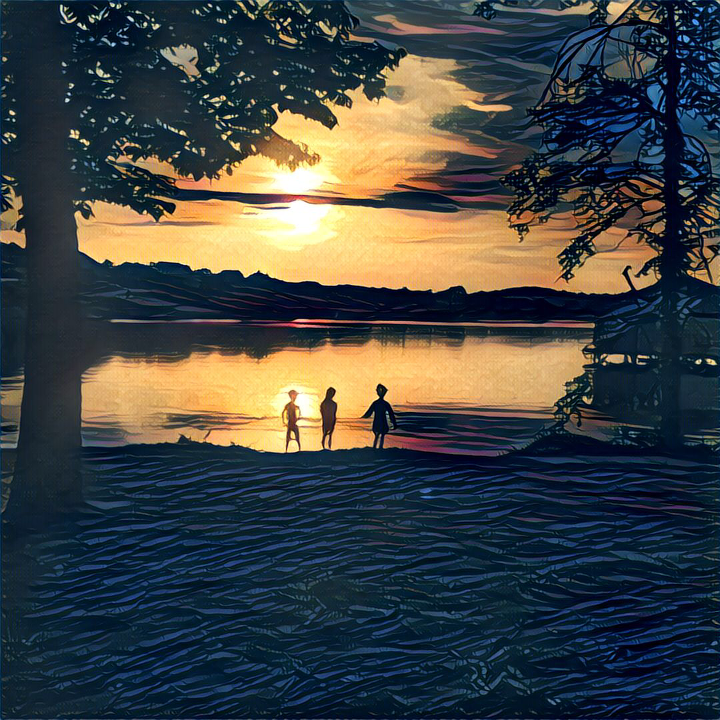 In the wonder of sun against water and sky, in the glory of children exploring the playground you crafted for them of rocks and trees and fireflies. I will fill my lungs full until they burn with your beauty and then breath out your goodness to those within reach. Like a child picking honeysuckle to share with her friends, I will gather Glory up in fistfuls and we will drink in the sweetness of Light’s nectar. Love’s epidemic more potent than fear could ever wish to be. And breath by breath we walk the narrowing path Home, helping each other stay eyes steady upon Love, our backs hard against the pull of darkness. 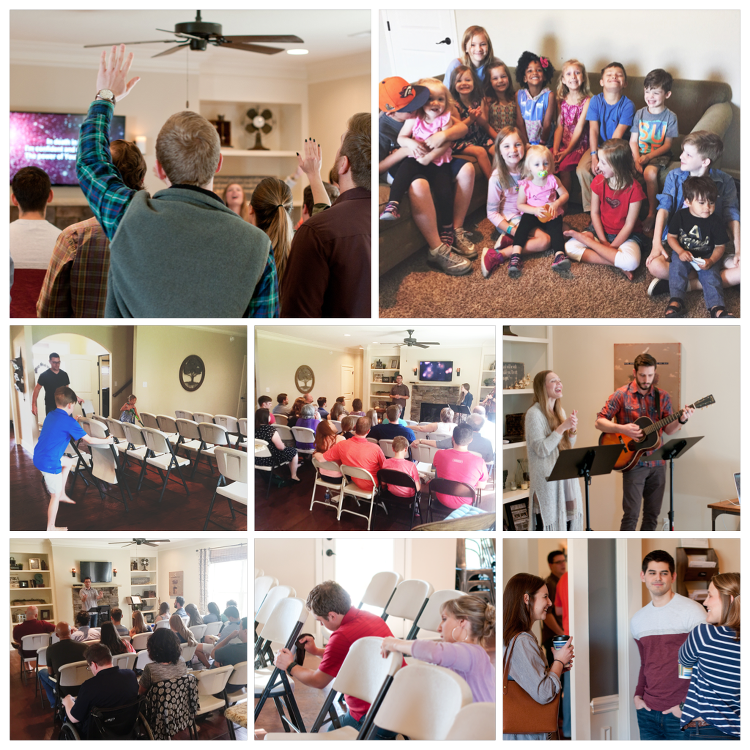 After three months from the living room, this Memorial Day weekend marked our little community’s final service as a house church. An event I trust will stand as one more stone of remembrance on the sojourn. I look here at the faces of my friends, our family, and see volumes of life, depth, wisdom, sacrifice, resilience, and love, God has brought forth in each of them over the past dozen weeks. I see anticipation and preparation in their hearts and minds as a team desperate to serve Jesus and others, but I also see sweet reverence for a time and space that has been held sacred in its fleeting. I can’t help but marvel at how God is already organically grafting so many others into our fold. The post-service laughter and conversations of a house full, spilling out of the open door as our team of six grabbed this quick photo, reminds me of His great Love for those willing to seek, chase and knock. He places us in families. And there is a growing family in West Knoxville. We knew this was only temporary – the Living Room Sundays – but with every passing week I found myself resolute to soak in the entirety of the experience. Each worship service became another line etched in memory’s stone – pressed in close on a heart tender, watching God show up big in our small. And I never want to forget… The grand scale rearrangement of furniture and many hands of all ages at work, finding their unique place of service each weekend. Worship rehearsals amidst floor mopping, folding chair placement and the cleaning of breakfast dishes. The beautiful, brave new faces walking through the front door, the ones we stood around the kitchen counter and prayed over- the once unknown, but now called “friends.” There was the constant trail of toys we did our best to contain and the mound of little shoes heaped together by the stairs. We have lived full – been fed well on grace in the living room. And just as with our time in middle Tennessee before, we venture now on to the next chapter – going out with joy and being led forth in peace. As we travel the couple mile stretch down Northshore Drive to our new meeting space and listen close, we will hear the mountains and hills breaking forth in song and all the trees clapping their hands* – pushing our growing band of ragamuffin disciples on with new mercy and strength for all the Sundays beyond the Living Room. *If you or someone you know is looking for a church community in the Knoxville, TN area, we would love to connect with you. Feel free to comment or message me personally or you can also check out the Grace Chapel Knoxville website. Mercy, this post… I have attempted to write it in my mind for weeks now- mentally placing word patterns in such a way as to properly communicate all in my heart as well as the facts as we know them. Needless to say it has been a challenging process, and I’ve allowed my inadequacies with the words along with some fear, mixed up with a lot of busyness, keep me silent…Shortcomings and all, however, it is time to speak – so please bear with me as I try to fill you in on some major happenings in our family. We are MOVING TO KNOXVILLE!!! There is my feeble attempt to make short and sweet what has been a deeply personal journey and weighted decision. So, YES, we are moving- away from this town, these hills of Wondergrove, these people and places we adore. We are exceedingly joyful and excited while simultaneously grieving- the very essence of bittersweet. Please know my heart is to sit and look you each in the eyes and share the whole story. I am a whole story kind of girl – for better or worse – I’m wired for the start, middle and finish. And yet recently, the Lord keeps taking me back to the passage in Luke 2, when all the miraculous events around the birth of Jesus were taking place, it says, “But Mary treasured up all these things, pondering them in her heart.” Now I’m not sure if Mary was ever a whole story girl, but at some point she understood there were lines being written, revelations, treasures unearthed, just for her. And she held them near and pondered. In a similar way there are pages to this chapter being written in the life of my family I can’t wait to share and then there are those passages – the answers to prayers I’ve never spoken aloud, the connecting of dots I never imagined possible – I need to keep close and a little quiet for now. That said, I hope this offers some explanation and context. Some of our dear friends have been preparing for a couple of years now for the strong possibility of God calling them from our haven here in Williamson County, TN to plant and pastor a church elsewhere. We have prayed with and for them, waited in the seasons of unknowns alongside them and over time caught passion for their vision and heart for Jesus and for people. Rob and I both grew to care deeply for these families. In many ways, they have become our own family. Eventually the decision was made, they were setting out to plant an extension of our home church here in Franklin- Grace Chapel was going to Knoxville! Then, several months ago we began feeling the nudge to prayerfully consider joining our friends on their great adventure. “Consider” sounds so much more dignified than how it actually went down, but again I’ll spare you the unabridged version. For every prompt to “go,” there were ten retorts of “How?” “Why?” “Are you kidding, God?” and “No, but for real, God, you can’t be serious? !” I am nothing if not reverent…So we did all we knew to do – we prayed. We prayed for vision, we prayed for peace in the staying or peace for the going, and maybe most of all we prayed for Rob and I to be unified in whichever path God was calling us to. For those of you who are married, you know what a bold prayer that can be in times of big decision – especially when the unity is sought between two vastly different people. While not all the answers came immediately, we knew we were to keep taking the next step, and then the next, and so on. In October we took a short trip as a family to visit the area our friends were looking to move to, and again we prayed. We waited on God. On one hand I have had a strong peace and sense this is what we are to do from the start of the “considering,” but then my practical side would jump in and pounce doubt all over innate faith. I mean – neither one of us is nor has ever been on staff at a church or in full-time ministry, Rob has a solid long-standing career with a company that has been so so good to us. Our kids, they aren’t babies – this decision will dramatically impact their lives. And let’s face it – we aren’t 22 anymore, aren’t we a bit old to be starting over? The risk, the sacrifice great; the cliff we were standing on the edge of, steep and scary. Even still – the peace to keep pressing in remained. In the end, and together, we locked arms and said, “Yes!” thereby catapulting ourselves from cliff to free fall, trusting God to provide the parachute. And provide He has and continues to – Vision for our role in supporting our friends, vision for our kids’ education, vision for our marriage. He is after all the Pro when it comes to Vision – and seeing things as God sees is our great PROVISION, even in the spiraling of unknowns. A short bit on the details: Our timeline is still being finalized, as job and housing factors are ironed out. We will most likely be listing our house in January…Yeah…saying goodbye to Wondergrove is something I can’t really talk about right now – without lots of tears, anyway. What a gift to have called this place our own for the past few years, and to have shared it with so many of you. From there our departure will be set around the sale of the house. There really is no way to know the timing beyond listing it, so we just continue to take the next step and pray. We are embarking on this adventure with two other families, one has already sold their home here and is moving to Knoxville the weekend of MLK Jr. Day. The other family is listing their house January 1st, and will be moving as soon as it sells. Many of you reading this already know those details and have been actively praying for their families as they transition. Thank you for that. And for those just learning this news – your love and prayers are so appreciated. Truly. The goodbyes weigh heavy, and in the Joy of the going out, there is a breaking of hearts in the turning away. If you are inclined, we would love to have you follow our collective journey via the church’s new blog: http://gracechapelknoxville.net/ . Going back to my nature to offer the entirety of the tale… If I am going to be completely transparent, part of me wants to give the whole story in hopes it will somehow meet your approval. As if me giving you all the twists and turns, all the moments of unknown and wait and prayer and consideration and more prayer, will validate our decisions – will remove doubts of our competency. I wish I could say in all honesty, the rejection and opinion of others doesn’t matter to me, but, well, I can’t. I know this is not a decision that makes sense in the peripheral, and so there may be some who think we are absolute loons, and well…that is just going to have to be okay. Because while it may sting, and I may try to explain my way to man’s approval far too often…we have decided to follow Jesus- no turning back. Parenting has given me a deep appreciation of several things–locks on bathroom doors, chocolate covered almonds in bulk from Costco, children’s church volunteers, and the way Jesus often communicated via parables. To name just a few. 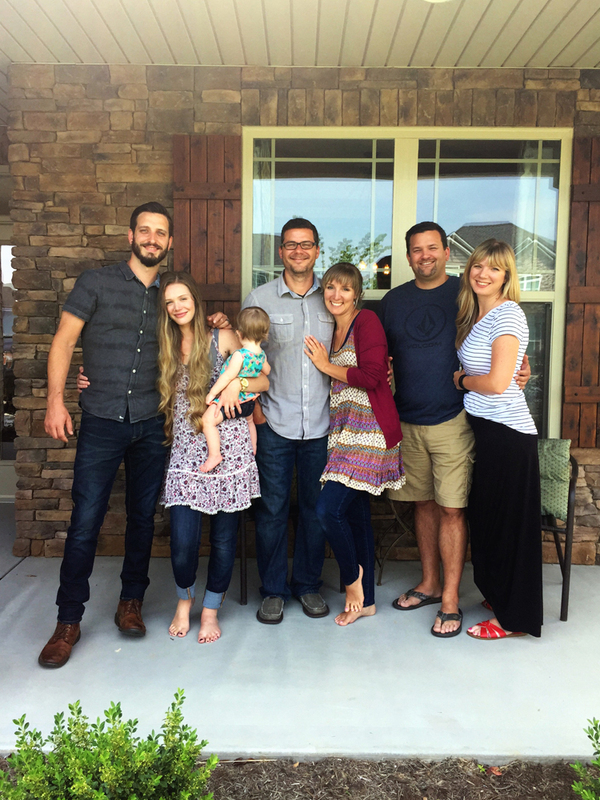 Parenthood itself is really one giant parable–an ongoing picture of how God loves his children. And my life as a parent seems to be full of personalized parables too. I am not sure a day goes by when God doesn’t offer an exhortation, kind conviction, or even just a laugh to my soul through something one of my kids has done or said. During a recent trip through our favorite craft supply store, sandwiched between the obnoxiously early Christmas decor and the modeling clay aisles, Jesus showed up to walk and teach his latest parable among us. It started simply enough with my 10 year old daughter still riding the buzz of a new school year. Her creative soul inundated with all the brightly packaged, glittering art supplies, she approached me with a small decorative box in hand. I was only half-listening as she laid out her five point proposal as to why this was the perfect box for her pencils and supplies. When she had finished I took the item in my hands. As we held up the short narrow container, we both clearly saw it was not made with the intention of housing writing utensils. Slightly deflated, but far from defeat, my daughter went to return the treasure one aisle over. And then she was back, this time with an even prettier, more elaborate trinket, still attempting to sell the pencil case bit. I listened, pushing shopping cart forward with one hand while plucking my 4-year-old from a shelf she was attempting to scale, with the other. By the middle of our third go around, I began to understand why she wanted a new pencil box. I knew Jesus was near, using the bargaining of a child to illustrate and highlight an area of my life aching for growth and sanctification. Parable on aisle 12.